Making memories. Lasting memories. That’s what we want, right? It is not often that things “just seem right” – some things just go together, naturally. And that is just what Radiotronic does time and time again, creating that great party atmosphere that makes those memories that everyone will be talking about! 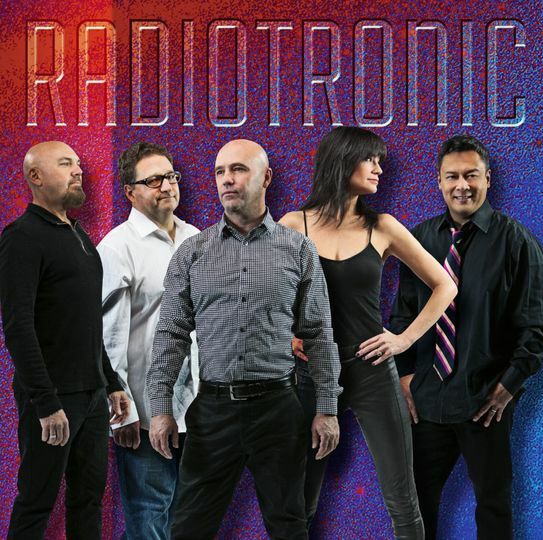 Radiotronic caters to the music lover playing only the best covers from the 70’s, 80’s and beyond, Radiotronic’s sound is so authentic; you will be looking for that Members Only Jacket and that copy of your favorite John Hughes movie! Touring with a state-of-the-art digital sound and lighting system, the audio-visual experience is totally huge. 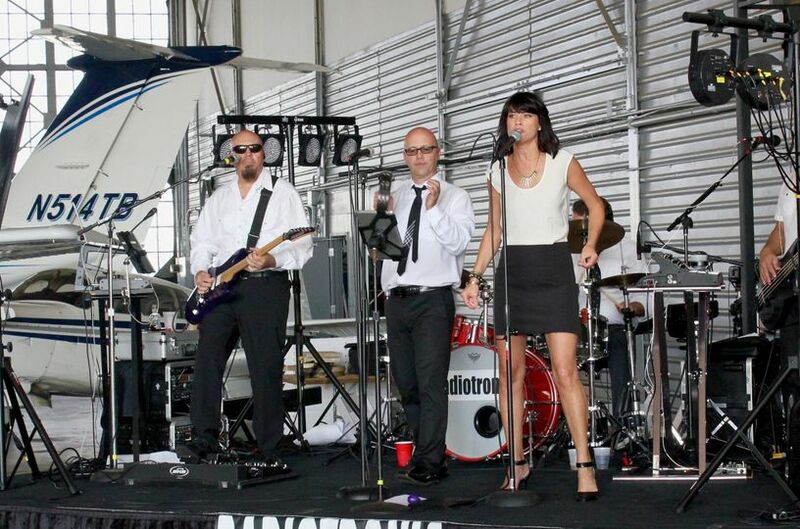 Radiotronic creates a rocking good time at any event. 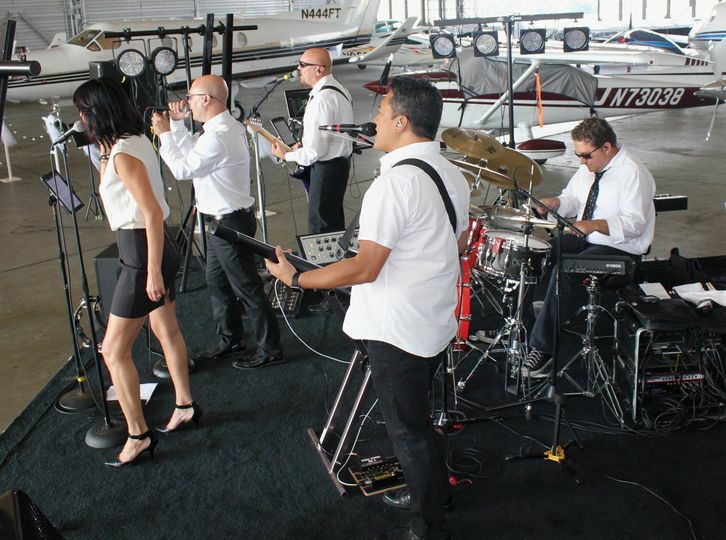 Whether you are planning a wedding, corporate party, private party or need live entertainment for your club, Radiotronic will deliver results every time. 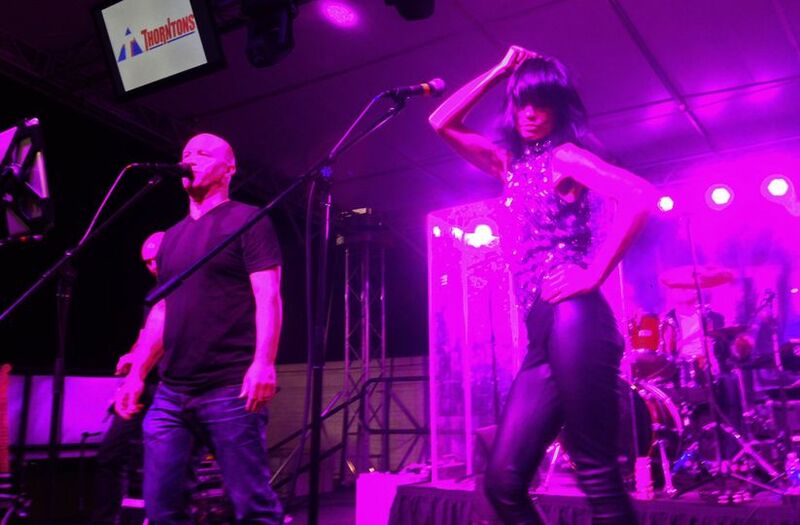 We have seen Radiotronic for years and they are our favorite band in Louisville! 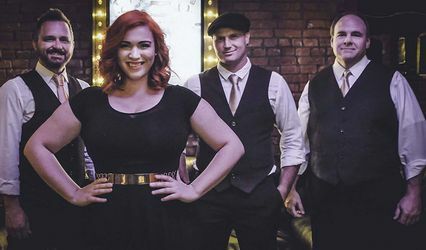 They are fun to watch and sound phenomenal and you will feel transported into the 1980's again, but they also play some newer music as well. Regarding our wedding, we had the dream of having them as our band and we decided to make the dream a reality; as so much planning is required for weddings in general and the big day is exciting, but stressful (in a good way) , Radiotronic made the overall atmosphere of the night amazing and eased the stress as they were very professional, on time, and lived up to the usual great band we have come to know and love. 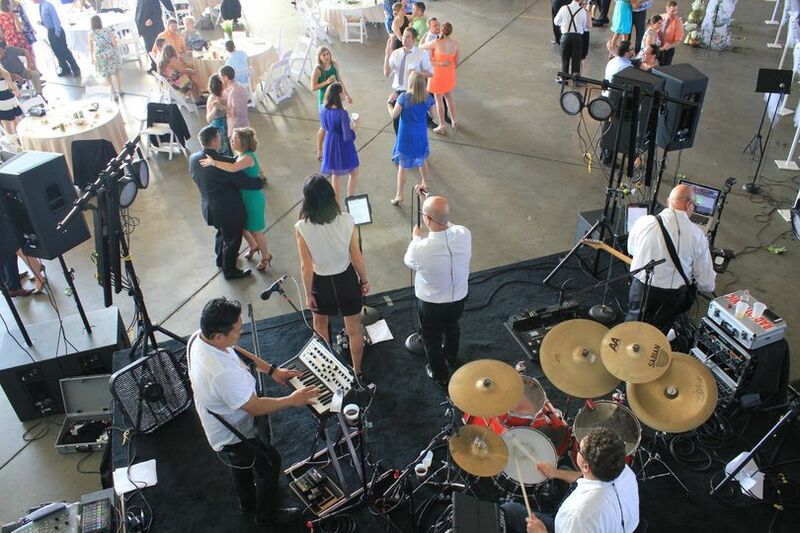 You will have a night to remember if you include Radiotronic in your wedding!! 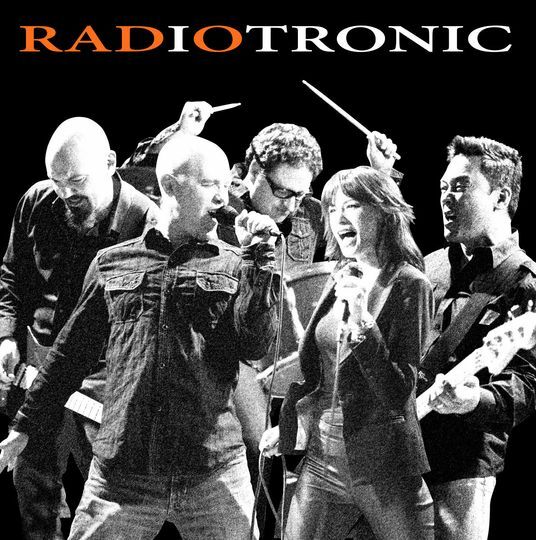 If you're looking for entertainers that will exceed your expectations then book Radiotronic. My fiance and I had seen the band play a few times before booking and we were immediately impressed with their musicianship. You'll get a great range from the 1970s to today with a heavy dose of 80s nostalgia -- it's the perfect mix for what is likely to be your diverse wedding crowd. 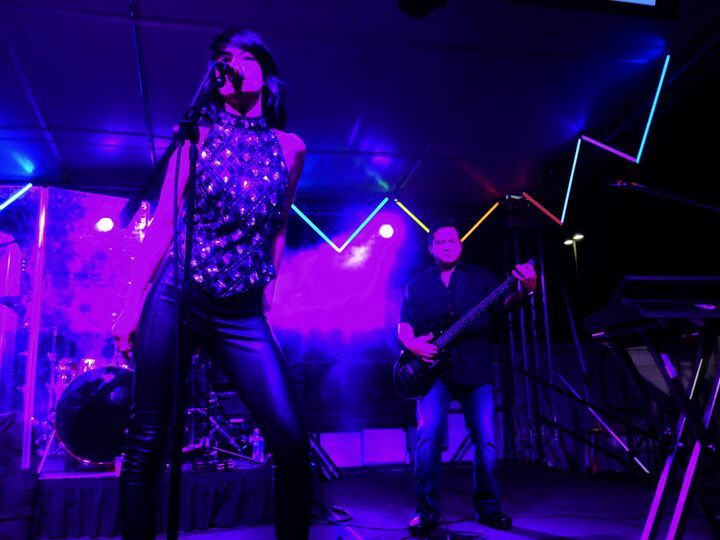 With two killer singers in Rachel and Kevin the dance floor never has time to die down and the technical chops from the rest of the band -- Jeff, Gordon and Ardel -- shine through to show that Radiotronic is a band true music lovers will appreciate. Where Radiotronic really separated themselves was with their flexibility and willingness to help in so many ways. Our rehearsal ended up being the morning of the wedding day and the band was on hand to set up a full six hours ahead of our event to make sure they didn't interfere with our prep. When bad weather forced our ceremony indoors, Radiotronic allowed us to use their sound system as the PA for our ceremony and made sure everything was working properly. In addition to the band members on stage they also come with their own sound man, the aptly named "Jeff the Great." Jeff took time out his schedule earlier in our wedding week to pick up music we had prepared for after the ceremony (introductions, first dances, cake cutting etc.) and during the band's breaks. On the day of the wedding, without our asking, he volunteered to arrive 45 minutes before our ceremony just to be on hand to make sure everything went smoothly. This level of service is rare and did not go unnoticed. Your wedding will be a joyous event but not without stress. 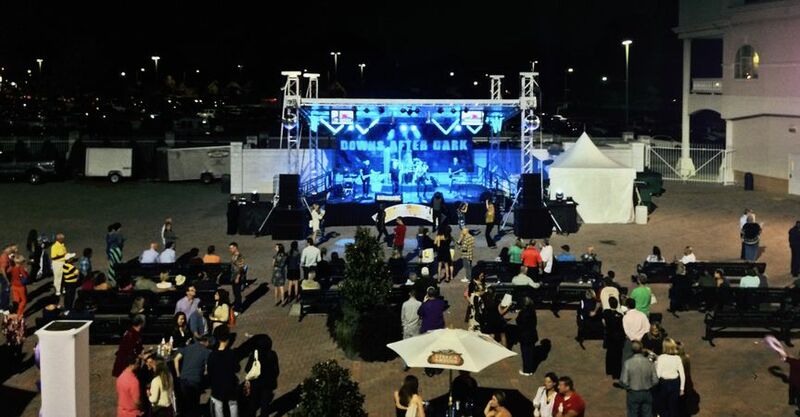 Booking Radiotronic means one less worry for you -- they're professionals at the top of their game -- and an amazing night for your guests. Take my word for it, but I know that seeing is believing. Radiotronic are regulars at the top venues in the area so watch them in action and find out for yourself. 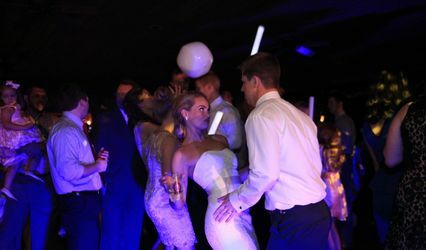 All I can say is Radiotronic made our wedding reception an absolute blast while still keeping it classy and professional. They are talented musicians playing a great array of dance music from the 70s, 80s, and a few hits from today peppered in. The best part is their set list has the really good, interesting music from the 80s like New Order, Duran Duran, Frankie Goes to Hollywood, Erasure, etc.--none of the cheesy stuff that you'd rather not hear. 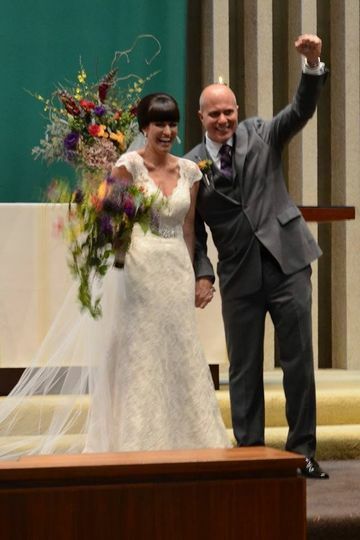 We live in Chicago and had our wedding in Champaign, IL and by far none of the bands from our local area matched Radiotronic in terms of presentation, energy, talent, and overall performance. They were great to work with, professional, and looked like a class act on stage. All of our guests kept commenting on how awesome they were and how they were key to such a great night. We are trying to think of another reason to have a party where we can book them! All in all, highly recommend them.